Lisa’s books have solidly landed on all the major bestseller lists including The New York Times, USA Today, The Wall Street Journal, Publisher’s Weekly, The Washington Post, and The Los Angeles Times, and Look Again was named “One of the Best Novels of the Year” by The Washington Post, and one of the best books in the world as part of World Book Night 2013. Lisa’s contributions through her writing has been recognized by organizations throughout the country. She is the recipient of the Edgar Award, the Mystery Writer’s of America most prestigious honor, the Fun, Fearless, Fiction Award by Cosmopolitan magazine, and named a PW Innovator by Publisher’s Weekly. Lisa was honored with AudioFile’s Earphones Award and named Voice of the Year for her recording of her non-fiction book, Why My Third Husband Will Be a Dog. Each follow up collection, including the most recent, I See Life Through Rosé-Colored Glasses, has garnered both Lisa and her daughter, Francesca, Earphones Awards as well. In addition, she has been honored with a Distinguished Author Award from Scranton University, and a “Paving the Way” award from the University of Pennsylvania, Women in Business. Lisa’s accomplishments all pale in comparison to what she considers her greatest achievement, raising, as a single mom, her beautiful (a completely unbiased opinion) daughter, an honors graduate of Harvard, New York Times bestselling author, and columnist, who is currently working on her first novel. Lisa believes in writing what you know, and she puts so much of herself into her books. 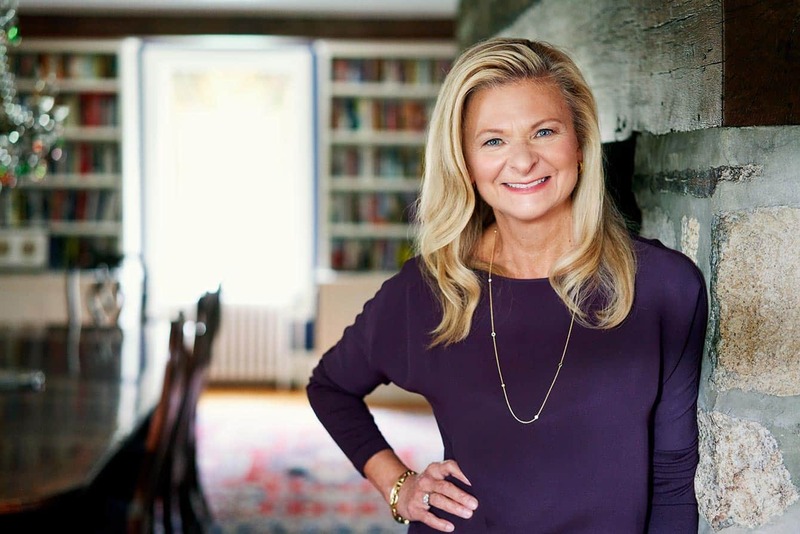 What you may or may not learn about Lisa from her books is that she is an incredibly generous person, an engaging and entertaining speaker, a die-hard Eagles fan, a good cook, and a vegetarian. She loves the color pink, has an incredible design sense, has recently taken up gardening and golf, and her musical taste includes everything from U2 to Sinatra to 50 Cent, she is proud to be an American, and nothing makes her happier than spending time with her daughter. Lisa is also a regular softie when it comes to her furry family. Nothing can turn Lisa from a professional, career-minded author, to a mushy, sweet-talking, ball-throwing woman like her beloved dogs. 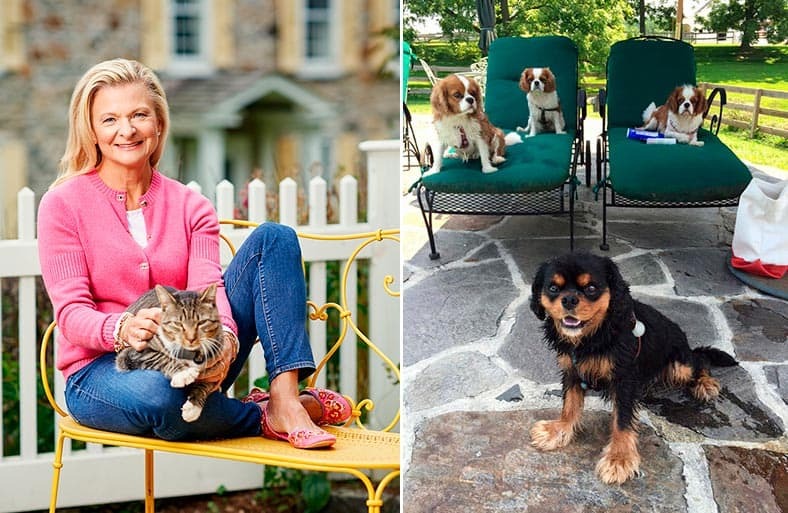 Although she has owned and loves various dog breeds, including her amazing goldens, she has gone crazy for her collection of King Charles Spaniels. Lisa first fell in love with the breed when Francesca added her Blehneim Cavalier, Pip, to the mix. This prompted Lisa to get her own, and she started with the adorable, if not anatomically incorrect, Little Tony, her first male dog (Lisa wrote a “Chick Wit” column about this). Little Tony is a black and tan Cavalier King Charles Spaniel. But Lisa couldn’t stop at just one and soon added her little Peach, a Blehneim King Charles Cavalier. Lisa is now beyond thrilled to be raising Peach’s puppies, Daniel Boone and Kit Carson, and for pictures, be sure to follow Lisa on Facebook or Twitter. Herding together the entire pack is Lisa’s spunky spit-fire of a Corgi named Ruby. The solitude of writing isn’t very quiet with her furry family, but she wouldn’t have it any other way. Not to be outshined by their canine counterparts, Lisa’s cats, Vivi and Mimi, are the princesses of the house, and have no problem keeping the rest of the brood in line. Vivi is a grey and white beauty and is more aloof than her cuddly, black and white partner, Mimi. When Lisa’s friend and neighbor passed, Lisa adopted his beloved cat, Spunky, a content and beautiful ball of fur, who lived to a ripe old age. Lisa’s loves the coziness of her farmhouse, and no farm is complete without chickens. She has a chicken coop which she populated with chicks of different types, and is overjoyed with each and every colorful egg they produce. Watching over Lisa’s flock are her horses, which gladly welcome the chickens and all the excitement they bring.